Our consignment events are seasonal sales events where communities come together to buy and sell the best in gently-used children’s, maternity, and other items. As part of our mission and the efforts of our participants to perform GOOD WORKS, each consignment event gives back to local community charities. Thank you to all our FABULOUS CONSIGNORS and PARTICIPANTS in all our events across the nation! Together, we have given back over $15 Million in cash and in-kind donations to local charities across the country! That is nothing short of amazing! We love your generous hearts and thank you from the bottom of ours for donating your unsold items that go to help families in crisis shelters, community clothing closets, food banks and other wonderful organizations that help give hope to those who need it most. You inspire us! Thank you for helping Just Between Friends give back to the communities we are so honored to serve! At JBF Vancouver, we love giving to local charities. 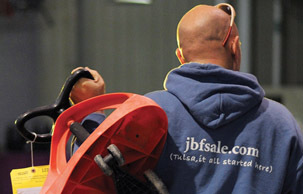 It's an integral part of the JBF Mission: To give back. many families in the our Community!